The 5 Areas Of Your Home That Can Really Boost Your Health Working Gals! Don’t Neglect Your Health! Being sick can be an inconvenience at best, and just outright horrible at worst. All of us are guilty of trying to push through it, topping up on flu meds and pretending it isn’t happening. We don’t want to acknowledge we’re poorly if we can possibly get away with it, however much we cough, splutter and wheeze. Taking time out of work, missing out on social events, and putting pressure on the family to take over your household tasks are all common reasons we avoid acknowledging we’re poorly, but we could be extending our illness or even making it worse. Here are the silly things we do that exacerbate our illness, put others at risk, or outright stress us out when we’re ill.
How many of us have realized we have a stonking cold coming on, but decided to head into work regardless? It’s not uncommon, but it’s really not the best idea. Our bodies require rest as much as possible when we’re unwell, so work will just have to wait. Your office mates would probably prefer to pick up a bit of slack than catch your illness as well! The temptation is to caffeinate ourselves to the top and soldier on. The tiredness that comes with illness is due to our bodies fighting the bacteria or virus, so caffeine or sugar aren’t going to make us more energetic, but probably just give us the jitters and make us sleepier. It can even dehydrate us further, which we don’t really need when our bodies seem to be doing a fine job of that on their own. When we are ill, even with a cold, we can feel like it’s a whole lot more severe than it actually is. Humans are not known for their rational responses when we’re feeling under the weather. The worst thing we can do is use online symptom checking as a means to determine the severity of our illnesses. If you don’t know what’s wrong with you, or you’re worried in any way, call your doctor or physician, don’t stress yourself out with an online checker. Feed a cold and starve a fever – or is it the other way round? Old wives’ tales, while they might have some basis in truth, aren’t the best way to self-medicate. Use alongside proper medication, but don’t rely on it to make you better, because it just won’t. 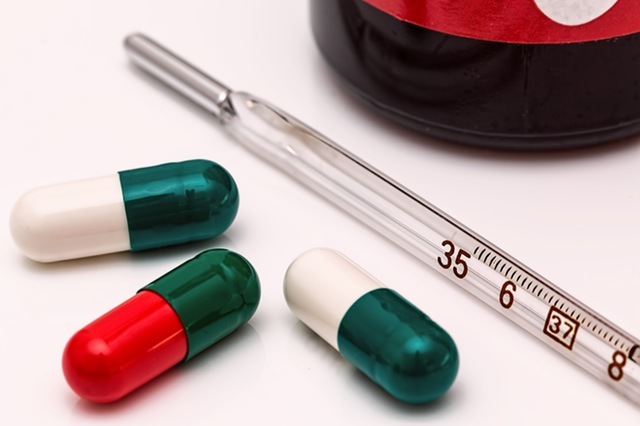 If we know exactly what’s wrong with us, it can be tempted to medicate with old meds from the previous time we were ill. Out of date medication can be ineffective or even dangerous, so it’s best to throw any leftover away at the end of a course. If over the counter meds aren’t helping alleviate your symptoms, see your doctor for the stronger stuff. When you’re ill, take care of yourself, and you’ll be back to normal much faster than if you try to work through the discomfort and extend your illness. Keep work and exercise to a minimum, and rely on your doctor, not an online symptom checker, for diagnosis. Healthy Life Changes Don’t Have To Be as Bad as Your Think!